Warning: Failure to Keep Proper Financial Records Can Send Any Aspiring Entrepreneur to the Poorhouse! Most business owners and managers love the business they are in. They love the excitement of completing a big deal or of making a high-profit sale. They love the challenge of creating a new product that quickly becomes highly sought after, or of uncovering an undervalued product (or real estate investment) that they can turn around and sell for big profits. They love the flexibility that comes with being their own boss and they particularly love the CASH that they are able to deposit in their bank accounts each month. Unfortunately, there’s also one thing that most business owners and managers don’t like about their work and that one thing could very well make the difference in their ultimate success or failure. So what’s that one thing? It’s accounting. While you may be a great deal finder, an unmatched salesperson, or a wonderful acquirer of funds for your business, it’s important to remember that your business’s books and financial statements are “score sheets” which reveal how your business is growing and, maybe even more importantly, they also serve as an early warning system that lets you know when and why something may be going wrong. That’s why it’s essential that you understand the basics of small business accounting, starting with the oh-so-important Chart of Accounts. The Necessity for Good, Well-Organized Financial Records Cannot Be Over-Emphasized! One of the greatest mistakes made by owners of small businesses is not keeping good financial records and then making improper or poor business decisions based on inadequate information. Simply put, businesses need to have a good Chart of Accounts and other accounting records, not only to know how well they are doing, but also to help identify areas where there are problems and opportunities for improvement. If an owner or manager doesn’t have a way to accurately measure how well the business is doing, the only thing he or she can depend on is perception and how much money the company is producing after all its expenses. Unfortunately, this method does not work well at all. That’s why it’s not uncommon to see a company that seems to be doing well by the number of customers it has or the popularity of its product or service end up having to close its doors. Why does this happen so often? Because if you are not very careful, a business’s expenses can easily exceed its income. Well, without good financial reports, that’s a good metaphor for exactly what you are doing with your business! And getting good financial reports all begins with a solid, well-organized Chart of Accounts that reflects your business operation. Unfortunately, getting the instruction you need in a concise, easy-to-follow manner has always been difficult for busy business owners and managers like you…until now, that is! At last, you can discover what you need to know to easily build your own Chart of Accounts – which will serve as the foundation of your business’s accounting system – from one convenient system. An easy-to-understand yet information-packed 45-page manual that contains all the information you need to understand your books and ensure a long, profitable future for your business. Your very own Chart of Accounts upload based on Alan’s time-tested personal chart of accounts. An audio with Alan’s accountant – this is absolutely essential to the successful operation of a business! Exactly what a Chart of Accounts is! The importance of collecting, recording and regularly analyzing your numbers! The two methods of running a business – and how to choose the one that is right for you! How to keep track of the performance and financial condition of your company using just two key financial reports! Basic accounting formulas you can use to determine your business’s assets, liabilities, profit and loss… in the blink of an eye! How to get a “financial snapshot” of your company at the end of each and every day! How to get your own regular report card on how well your company is performing its functions! 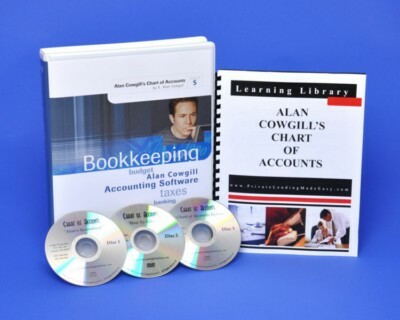 Order your copy of the “Alan Cowgill’s Chart of Accounts Made Easy” System today. You’ll get the information, instruction and tools you need to create your own Chart of Accounts, which is the basic road map for any accounting system. Having a well-organized accounting system will save you time while also ensuring that your business produces MAXIMUM profits! To order your copy of the “Alan Cowgill’s Chart of Accounts Made Easy” System whitepaper for the price of just $497–– click here. That means you’ll be paying less than the cost of one decent night out on the town for this valuable information… surely saving your business is worth the cost of a fleeting night out on the town! I am so sure that you will love the “Alan Cowgill’s Chart of Accounts Made Easy” System that I am offering an unconditional 100% money-back guarantee. 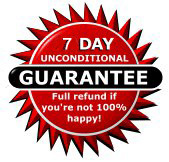 If you are not completely satisfied with your purchase, simply notify me within 7 days of your date of purchase and I will refund your money, with absolutely no questions asked! That’s ONE FULL WEEK to put this system to the test! I don’t think I can be any fairer than that. Either this system will help you create your own Chart of Accounts and start balancing your books or you will get your purchase price back! It’s easy for small business owners to get so busy that they don’t devote the time they should to one of the most important areas of their businesses — accounting. It can seem more important to close a sale or serve a customer than balance the books. But if you don’t take time to tend to bookkeeping basics, your fast-growing business could veer off track and never recover. To take advantage of this tremendous offer of $497, simply click on the order button above NOW. Now Available as an Instant Download for Only $297. No Shipping! Start Using Right Away! P.S. — Let’s be blunt: If you pass up this offer, will you have your very own accurate real estate Chart of Accounts any time soon? Statistics say it is HIGHLY unlikely. Get this system NOW and get the advice, tools and information you need to ensure you have the accounting system necessary to grow your business and boost your sales! Take a full 7 days after your date of purchase to see if this system doesn’t change the way you look at your business’s finances. If you aren’t convinced beyond a shadow of a doubt, just contact my office and I’ll refund every dime. If “Alan Cowgill’s Chart of Accounts Made Easy” System doesn’t get you a well-organized accounting system – just like I promised – you get your money returned to you. Click here to order securely now!